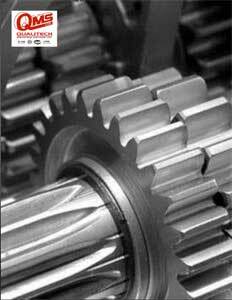 Qualitech Machining Services Limited (QMS) is one of the leading machine shops in the Caribbean. It was founded in 1995 by Deo N. Lall, who took a risk by mortgaging his home in order to open his small manufacturing and repair business. Relying on the good will and trust of his previous contacts and customers, and by working seven days a week, Lall managed to grow the enterprise into what it is today – a modern workshop of over 45,000 square feet on a two acre site in the heart of the Point Lisas Industrial Estate, Trinidad’s second port and home to its petrochemical sector. QMS services the commercial and industrial sectors of Trinidad & Tobago by providing a comprehensive spare part manufacturing and machine shop service for any and all types of industrial plants and machinery. QMS offers technology-specific services for the following industries: petrochemical, energy, steel making, fertilizer, food processing, quarrying, plastics, earth moving, agriculture, marine, oil exploration, construction, beverage, manufacturing, and printing. Its precision services include: turning, boring, milling, drilling, honing, welding, fabrication, surface and cylindrical grinding, splining, HVOF (High Velocity Oxygen Fuel) metal spraying, and CNC (Computer Numerical Control) machining. The company also manufactures the following parts and components: boiler tube plugs, wear rings, sprockets, orifice plates, special tooling, pulleys, mill hammers, fittings, conveyor rollers, bucket pins, spline shafts, couplings, and other machinery parts. Quality is taken very seriously at QMS. In fact, the word “Qualitech” is a combination of the words, “quality” and “technology.” The company was ISO certified in 2002 and works under the umbrella of its Quality Management System. All of its measuring instruments are serial-numbered, and individual calibration logs are maintained for each instrument at regular fixed intervals. Calibrations are traceable to NIST (National Institute of Standards and Technology). All jobs carried out are subjected to in-process and final-quality assurance checks against specifications and are guaranteed to be within its customers’ specifications. The company has implemented documentation and manuals, which define its procedures and policies as part of its Quality Management System. The company continually increases the number of machines it maintains, while simultaneously upgrading their technology in order to speed up production and repair. According to Lall, the businesses in the Point Lisas Industrial Estate don’t have the time to wait for things to be done. So quick service is a value proposition that QMS offers its customers. For example, QMS is the first company in the Caribbean, and most of South America, to own a CNC water jet cutting machine. This machine is capable of cutting up to 10” thick steel, stainless steel, monel (a nickel-copper alloy), titanium, granite, marble, aluminum, brass, carbon fiber, composites, glass, rubber, plastics, and pretty much any other material known to man. The machine cuts most jobs rapidly, without heat, hence causing no metallurgical change or distortion. Customers’ jobs can be done in minutes instead of hours. Recently, QMS formed a new and independent company called Qualitech CNC Manufacturing Solutions Limited (QCNC). This subsidiary of QMS was created to satisfy the need of its customers for advanced technological manufacturing. The company acquired the latest machinery and software which is so advanced that it can be used for manufacturing almost anything imaginable, including many components used in the space, aerospace, and military defense industries. 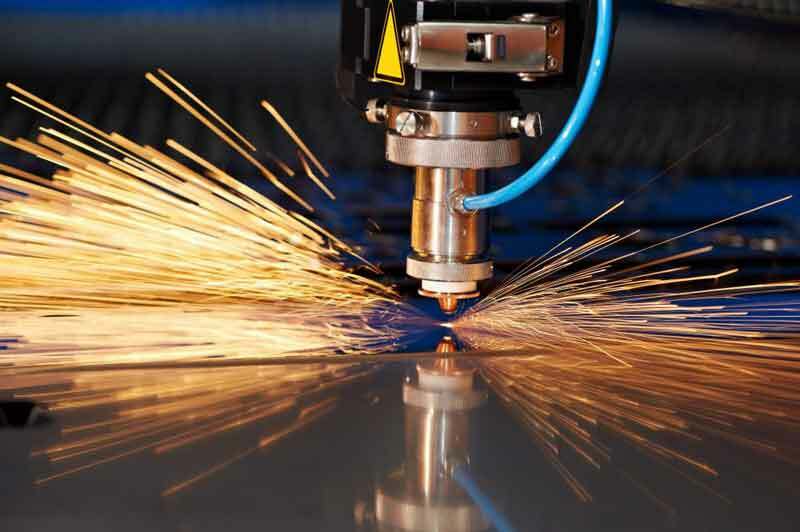 In addition to purchasing CNC lathes and milling machines, the company also acquired state-of-the-art 3D laser scanning equipment, capable of scanning original parts and producing 3D Computer-Aided Design (CAD) models in minutes instead of hours. In order to properly operate these new acquisitions, Lall says that the company needs a highly-skilled workforce. It looks for people who have completed the basic courses in operating machinery at school, then puts them through five-year apprenticeship programs so that they can be adequately trained on the latest technologies. QMS also believes in being a good corporate citizen. Some of the local institutions it has sponsored include the Couva Children’s Home, the Trinidad & Tobago Taekwondo Team, the Suzuki Club of Trinidad & Tobago, and the T & T United Way. 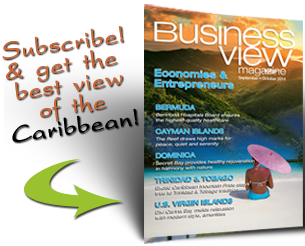 Lall believes that the future of QMS is very bright, and this cutting edge, Caribbean company is not sitting still. It continues to invest in its people and its machinery in order to increase its production range and enhance the quality of its services, while simultaneously seeking out new customers and industries in Trinidad and Tobago.